Should you be one of the many enthusiasts who we hope will participate in this exciting project the following advice should be helpful. 2. Check out all your equipment before the shoot to see it is working properly. Quite often we’ve received works with excellent pictures but with poor or no sound. Good sound is imperative. If necessary use a good quality extension microphone. 3. Ensure beforehand that you charge all batteries for the equipment you are using. 4. Select the best camera you can procure. Fortunately today most cameras are HD but there can be pitfalls. If shooting outdoors in bright light use a camera that has an eyepiece viewfinder. The flip out viewfinders common on most video cameras or phone screens are virtually useless in bright sunlight conditions. You just can’t see easily what’s in frame unless you have a viewfinder hood (which commercially appears to be as rare as hen’s teeth unless you make your own). 5. Use a tripod wherever possible or get in real close to your subject. There is nothing more disconcerting to an audience or judge than to be faced with continually shaking pictures as though you were seasick when filming. It’s a real turnoff. With a lot of effort sometimes an old but valued film can be resurrected by turning it into a series of stills. There are also new digital programs being released that are designed to reduce moderate camera shake. They require a good computer with a very high processing speed or you’ll be waiting for days for the rendering to finish. 6. Select a tripod that has a smooth fluid damped motion. Shooting with an elcheapo model that suddenly grips in the middle of panning and tilting is as bad as shaky handheld work. 7. Ensure your pictures are in focus. Zoom in first to your subject and focus. Everything will then remain clear when you frame your shot. 8. If not automatic adjust the aperture setting so the picture is the right brightness level. Inside don’t have your subject stand in front of a bright backlit window. Unless you manually open the aperture more your subject will just appear as a silhouette with little or no face detail. 9. Think before you shoot! Frame your subject properly before you press the camera trigger. Correct framing is achieved using the zooming control and/or moving closer or further away from your subject. If zoomed in you will need a tripod to avoid camera shake. Always think about picture composition. Is what you want to show the dominant part of your frame and have you excluded unnecessary and cluttering detail? 11. Practice! Practice! The more practice you have the better you become with your camera. Replay your shots and learn from your mistakes. Eventually the process of shooting becomes automatic and you’ll find you have less and less bad parts to edit out. 12. If shooting indoors as I’ve already said avoid shooting your subject in front of bright windows. If shooting a stage show be aware that a spotlight will usually wash out face details. It is annoying to have washed out figures. You need to use your aperture control or backlight button if one exists. Zooming in close so the frame cover the whole spot lit area and staying there will somewhat correct the exposure if you only have a auto camera with no manual controls. 14. I couldn’t leave you without mentioning Interviewing. This can liven up what might just be a dull series of pictures and incidental sound. After you’ve filmed an event, pick out some of the people you’ve seen in your shots who are the lynch pins of the operation and Interview them. Have some questions in your mind to ask. Generally don’t carry a ream of paper in your hand to fumble with , Some key point prompts written down are okay. 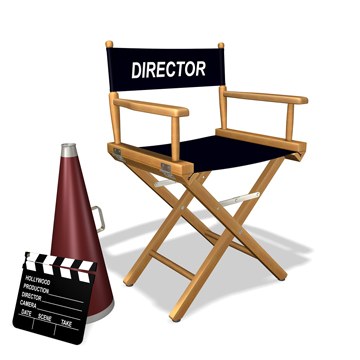 Put your subject at ease by talking casually with them beforehand and telling them what your film is about. Be confident in what you do. Treat the Interview as a friendly conversation. You’ll generally have the next question in your mind if you are really listening to what your Interviewee says. Try not to ask questions that just elicit a ‘Yes’ or ‘No’ response. These are of little use in your editing later on. A Question like ‘Tell me about …..” will elicit a good response as do ‘When ‘How and ‘Why as starters. Make certain you obtain the person’s name and designation and importantly the correct spelling, (If you’re going to do labels later on). If you’re the Interviewer and have a separate crew member doing the camerawork position the interviewee on the left or right side of the viewfinder screen looking towards you (front not side faced) Position yourself on the other side of frame with the cameraman instructed to shoot over your shoulder. Generally the audience does not want to see much of you as interviewer, so the cameraman focuses on the Interviewee with say a mid or shoulder shot for ordinary questions but then going in for a close up of the interviewee’s face when a curly question is asked. Ensure eyeliners are level otherwise it may appear like you’re intimidating your subject or he you. Ensure the subject maintains eye contact with you otherwise it conveys the impression of disinterest, timidness or guilt. If you have a crew at your disposal and the camera head microphone is some distance away or the setting has lots of unwanted background sound, use a handheld extension microphone preferably a directional type. As interviewer it is important you swing the microphone towards yourself or the interviewee depending on who’s speaking. Don’t fall down on doing this otherwise you’ll have great disparity in sound levels and a very cranky editor who has to keep compensating for your forgetfulness. He will be even crankier if you fumble with the microphone or lead when recording. It produces horrendous background noise! If using a lead microphone make certain it is plugged into the correct socket. I remember on one important shoot one of my teams lost their entire interviews for the day because they plugged the mic. into the headphone socket! This also brings up the point of having a set of headphones attached to monitor the sound from time to time if not all. The next level up is using a boom mic. Make sure it is above the person speaking and not too low to get into the picture frame. If you are just a one man band being both cameraperson and interviewer, like I often find myself when filming events, then move in close to the subject and have them directly look at you. Even without a tripod or external microphone this ensures steady pictures and good sound. 15. With the advent of You Tube this has revolutionised many things mostly good, with wonderful little tutorials on Filmmaking and creating items for You Tube (something you must do if entering our competition). 16. It will be my Remembers and CARP teams’ intent to start listing some of the best sites on YouTube for you to refer to. We also hope to have some time to talk to you on our Bathurst Remembers Face Book site. Have fun! It never ceases to amaze me after 55 years of filmmaking what people are achieving with even basic video cameras and phones. There’s still so much I want to learn and this is often brought up when my friend ‘Murphy’s Law’ sabotages some of my shoots and efforts to get programs out on DVD and You Tube. Hope to meet you on Face book and to see your entries in our competition. Anyone can enter provided you focus your story on Bathurst NSW which is having its Bicentenary in 2015 as Australia’s first Inland European settlement.